Sometimes products seem to be less glorious than they deserve to be, just because they aren’t backed by customer reviews. 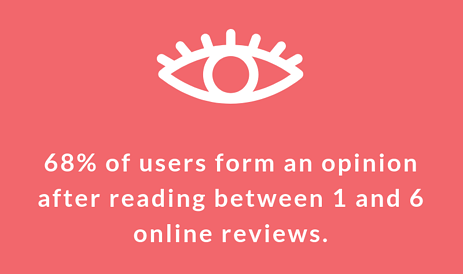 Reviews have the power to shape opinions within seconds. 90% of customers say buying decisions are influenced by online reviews! 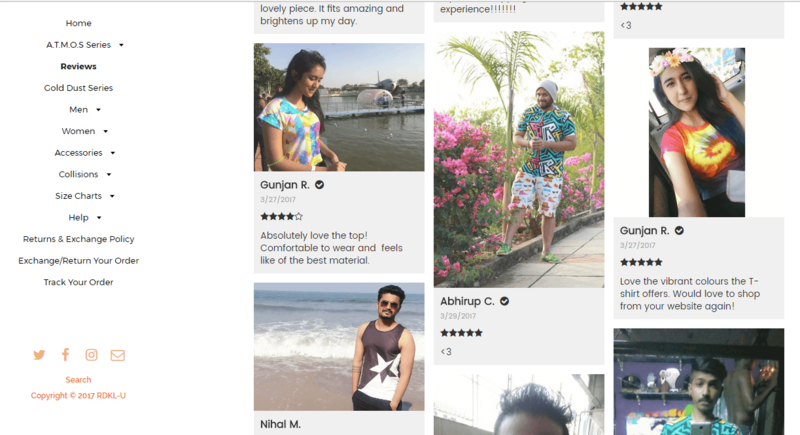 Read on and decide for yourself if reviews is something that needs to be a part of your plan of taking your online store to the next level. The first ever steel wire suspended bridge, that connects Manhattan to Brooklyn was built in 14 years. But when it did get ready, people were skeptical. They had never seen anything like this before! As it was just held by suspended cables, they were scared that the bridge would collapse. To aggravate that thought, a week later, a woman slipped and fell on the wooden steps before the bridge. And everyone flipped! There was a lot of screaming, a lot of running and everyone was panic-stricken. Everyone thought the bridge was giving up, and there was a mad rush towards the exit. A stampede took place which led to 12 deaths and 35 people were injured. After this incident, the government could see the 15.5 million dollars, that was spent in the construction of the bridge go down the drain. It had to be proven that the bridge was so strong that it was capable of withstanding a lot of weight. It was time for ‘show and tell’. To gain their trust, the Govt decided to go beyond the ordinary and do something completely out of the way. Just before the 1st anniversary of the bridge, they roped in PT Barnum (owner of Barnum & Bailey circus) to prove that the suspension bridge was as sturdy as they had claimed. So here is what Barnum did - he paraded 21 elephants to cross the bridge back and forth! It was a sight to behold! People were stunned. They got their proof and things got back to normal soon after. This is how we humans operate. Influence drives change. As Cialdini said, that change generated from influence could swing both ways; it could spike up one's growth, by guiding them to the right direction and creating conditions for positive changes. On the other hand, it could be used rather lethargically, which might attract conflict and resentment. Trust needs to be gained, for people to get inspired and perform the desired action. E-commerce is no different. When shopping, users are subconsciously accumulating trust points. When users are browsing through your catalogue, they are looking for signals that could help them trust your products and your brand. We have spoken about how brand story is critical for scoring trust with users. Don’t just tell. Show them. Trust is often gained by unusual ways. Robert Cialdini in his book Psychology of Persuasion beautifully explains how people rely on safety in numbers. More the people buying a particular product, more the people believe in its credibility. People are hungry for validation; once they realize that others are appreciating a product, it persuades them to make a purchase. 88% of consumers trust online customer reviews as much as personal recommendations! Someone the user has no previous contact whatsoever has the power to influence them to click on the buy button! 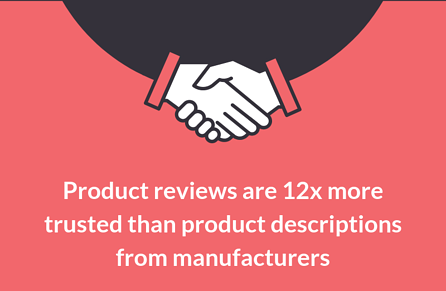 Users consider products reviews to be extremely critical in their decision-making process. Higher the customer reviews (positive over negative), higher the sales. People put their faith in the number of customer reviews a product has before buying it. Everything on the product page is all talk until someone who has bought the product puts down their thoughts. Packaging and presentation, both have a lasting impact on sales. The way you present your product is what matters at the end of the day and not just the product in itself. Unfair? You bet. But you can’t blame the users; what they see is what they believe. The best they can do is look at the product images and read the product descriptions. But to get the real sense of how valuable the product is, they will need unbiased opinions of other buyers and their experience with the product. This is where product reviews are mission critical. Why are customer reviews critical? Customer reviews build credibility and nudge users to make a purchase. It assures the users that they can rely on you for delivering the product. This especially helps if you are a new store. It shows that people are purchasing from your store and find it worth the buy. Even if you provide a size chart, users usually think twice before they buy. A review with a ‘raw image’ shows exactly how the product looks like, the size of the product, the precise color of the product etc. Believe it or not, customer reviews help you nail the right keywords. When customers write reviews, they make use of common keywords, words that people actually search for. The long tail keywords are taken care of here. Moreover, as customer reviews keep getting added, the page keeps getting updated. Due to the regular updation, the page starts ranking higher in a search. Yotpo conducted a survey where they observed the boost in the SEO once the customer reviews were added. By month 9 they saw a drastic hike in organic traffic. Jabra, an online store that sells headphones and speakers was facing a lot of drop-offs from the product page. It was when they conducted a survey with their users did they realize that the users were not sure about the product; if it was comfortable, if it would fit them right and so on. To build trust, Jabra went ahead and reached out to customers for product reviews. This change helped them in increasing the sales by 76.92%. Customer reviews encourages users to make a purchase. It is seen that products with 100 or more customer reviews experience a 37% lift in conversions! Every review counts. 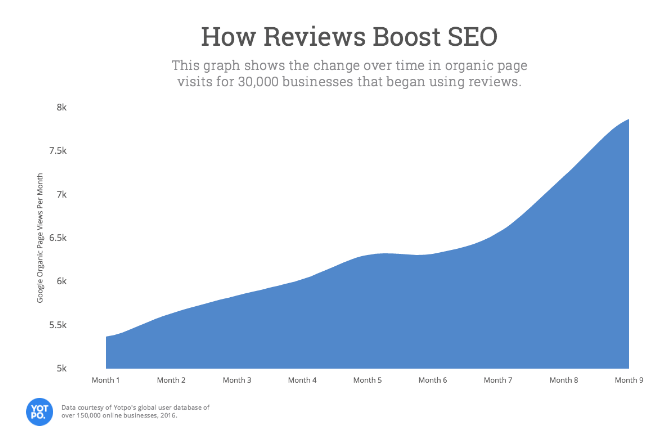 More the number of positive reviews, higher are the chances of increasing sales. Customer reviews are not only beneficial for the users but also for the merchants. It is an opportunity to know your product from a different pair of eyes. It helps you improve your products and provide users with a better experience. Not everyone who buys from your store will write a review unless asked. After all, customers don't buy products to write reviews. 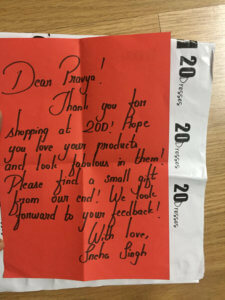 Once the product is delivered, the customer would use the product and might not go back to your store to write how they feel about the product. That's why you need to ASK your customers to write a review. Reach out to customers who have purchased more than once. They are more likely to write a review as they like your products and have laid their trust upon you by purchasing a second product. The amount they have spent on your store also indicates that they are interested in your store. High-end products especially need to be backed by customer reviews to lure users into buying it. Reviews from customers who have made a big purchase can be valuable. It has been observed that customers don’t hesitate to make a big purchase when the product is backed with plenty of reviews. Even if you nudge them to leave a review, users need not take out time for it. To grab their attention, you need to lure them with an incentive. On an average 18.5% more customers would write reviews if you incentivize. It could be a coupon code that they can avail the next time they make a purchase, it could be shopping points, you can cut delivery charges for their next purchase. Pampers, with their rewards programme, offers different incentives for writing a review. They now have thousands of customer reviews vouching for them. Wish.com is another store that offers incentives for writing reviews. They give bonus points, for uploading a photo or a video of the purchase they made. Users trust normal images over glossy product images when it comes to making a purchasing decision. It also projects how the product looks on different people, helping users get an idea about the product. 55% of customers trust User Generated Content over other forms of marketing. 68% of customers go to social networking sites to read product reviews. 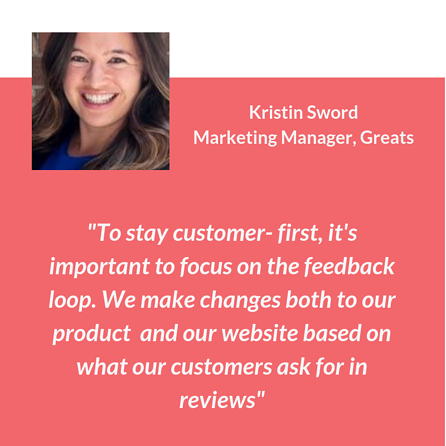 The best part about customer reviews on social is that, their followers get to see it, luring them to make a purchase from your store. To leverage this, you could also encourage them to share their review on their social profiles for brownie points. Showing some extra love goes a long way. When you make them happy, the reciprocatory nature of humans gets into action. The users would then want to show their appreciation. Reach out to them when they are willing to pour their heart out. Higher are the chances that they would write a review when they are delighted. Customers should be approached for a review as soon as the product is delivered and then get back to them within a few hours if they have not responded. By then they would have explored the product and can complement the review with the image/ video of the product. Make sure that you ask for a review when it is fresh in their mind. The user engages on your product page- Check. 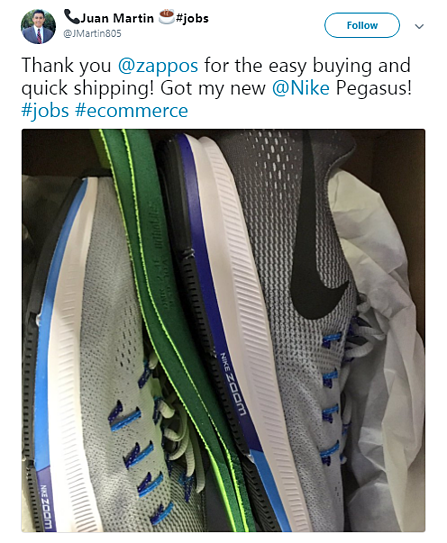 User buys a product - Check. The product gets delivered - Check. Now what? You need to reach out to them! By now, they ideally should have subscribed to your web push notifications and/or email. 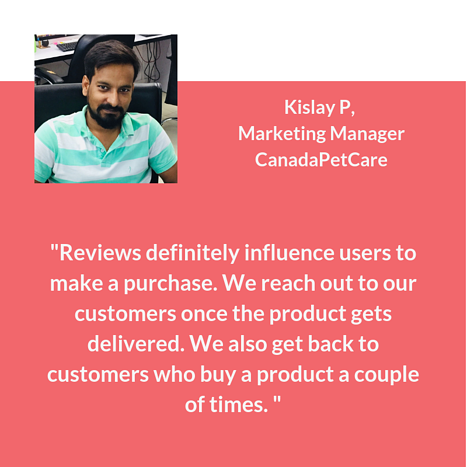 This helps you reach out to specific users who have made a purchase and request them to give a review. Build your marketing list and engage with users from day zero. Try Web Push Notifications for Free! While you are at it, you could also ask them close-ended questions like “Would you buy this product again?”, “Would you recommend this product to a friend?”. 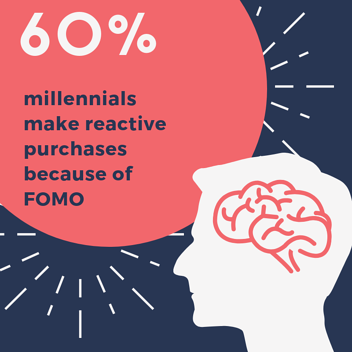 You could use this data and boost the confidence of the user and influence them into purchasing. Grab the opportunity to cross-sell products as well. Show them what product they need to buy to complement their purchase. More options for them which means more sales for you. Here, you get an opportunity to hit two birds with one stone. “The most valuable way to reach new potential customers is through your current customers”- Andres Maldonado, Co-founder Biciclasica. Google Customer Reviews allows sellers to collect feedback from customers for free. This helps in making your store stand out and increases credibility. This review refers to the experience your customer has on your website as a whole, like the support you provide, the way you handle returns etc. You can head here to know how you can get started with Google Customer reviews. This appears to all customers who check out. Users who opt-in to receive an email, will be sent an email asking them to review the experience of your store. You can place this anywhere on your site to show your seller rating score. You could also place it on the product pages to build authenticity. The review badge gives users an idea of what other people think of your store. This is a brief questionnaire that people answer on basis of the experience on your website. You can know more about these surveys and how you can start with it, in this whitepaper. Google Seller Rating shows both information and the ratings your store has got, influencing users to click on your website. Though the seller rating is free, once the users click on your ad, the usual prices will be applicable. Here the ratings pertain to a particular product rather than the experience a user has with the entire store. Imagine someone searches for shoes and your store shows up along with the Ad of your competitor store. While the user can click on either of the stores, the higher chances are that they would click on the store which has ratings on them. Negative customer reviews do not mean that your store is bad or your dream to make more sales is crashing down. The thing is, it would be an overestimation of your think you will always receive 5 stars. Plus, when you start receiving customer reviews, you can’t expect all the reviews to be positive. Consider every review to be a constructive feedback. "When you receive a negative review, reach out to them and provide the best solution as soon as possible. We call the customers directly or drop an email and try to resolve the issues that the customer faced." Users might think there is something fishy if your customers are just singing the praises of your product. Negative reviews also show that the customer reviews aren’t fake or manipulated. So a bad review once in a while is actually good for you. It shows that you are not hiding anything to make to seem all goody good. Merchants sometimes create an unrealistic picture of a product, which might create an unpleasant experience for a customer. Negative reviews might also give users a possibility of the product not meeting the expectation. While the chances are more than a lot of positive customer reviews would overpower the negative one while taking a purchasing decision. Like mentioned earlier in the article, it’s an opportunity for you to know what you might be missing and a chance for you to improve. Amazon’s Buy Box lists different sellers according to the seller reviews. But when a user is searching for a product, seller reviews does not play a role in product discoverability. Amazon’s SERP is product review centric. The volume of the feedback plays a major in ranking each store on the seller page. To really rank in the buy box, just feedback is not enough; fulfillment and landed price needs to be taken into consideration as well. Don't include many steps - The review process should be simple. Users might not dedicate time to fill open-ended questions. Keep it short and simple. Make CTA’s evident on the site - When the customers revisit the website, make sure that the ‘Write a review’ CTA is prominently visible. Respond to customer reviews even if they are not positive - Just because you receive a negative review, it does not mean that you don't answer them. In fact, negative customer reviews are the ones you should definitely not ignore. Replying to these customers gives you an opportunity to build a better bond. Customer reviews have the power to win new customers. They are a like a trophy you can flaunt. What you need to make sure that you need to engage with the users before they make a purchase and nurture them once they buy a product. 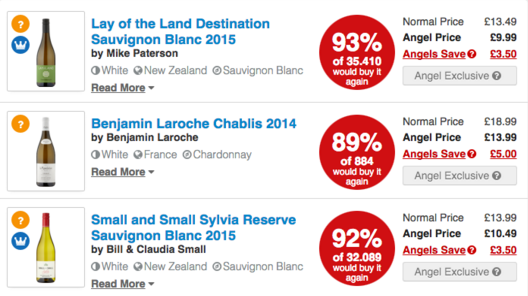 Customer reviews can do wonders to your bottom of the funnel. 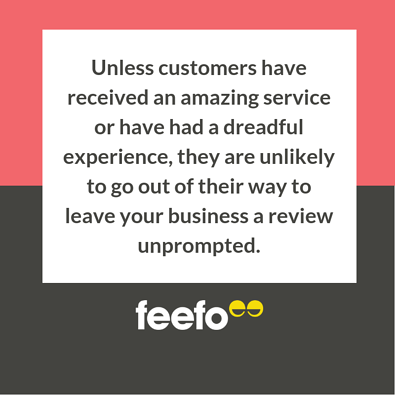 So start reaching out to your customers for reviews and let those sales pour in! Reach out to your customers for reviews and increase sales with Web Push Notifications. Get started for Free!